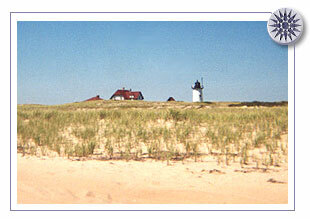 Where can you find some of Cape Cod's Best Beaches?? Answer. NORTH TRURO, MASSACHUSETTS ON CAPE COD. Provincetown also has some nice beaches too! Take a side trip from the Cape Cod Bike Trail into this beautiful park. Paved and dirt trails wind through woods and along 8 freshwater kettle ponds. Swim, fish, picnic, bike or walk. Access from Rt. 6A. Several points of entry on this trail including Beech Forest parking area, Province Lands Visitor Center, Race Point Beach parking area, Herring Cove Beach parking area or Race Point Road in Provincetown. Trail is a loop through the dunes of Provincetown. Access trail in Truro at Head of the Meadow Beach parking area or on High Head Road. Trail runs from High Head Road to Head of the Meadow Beach. 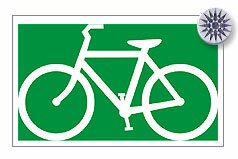 Where to rent a bike while on the Cape? Several trails lead to the Capt. Penniman House, Red Maple Swamp boardwalk and scenic Fort Hill Overlook. Round trip 1.5 miles. Access off Rt 6. Wooded walking & biking trail with guide ropes and braille markers. Round trip .25 miles Intersects with CC Rail Trail. Access from Salt Pond Visitors Center Rte. 6. 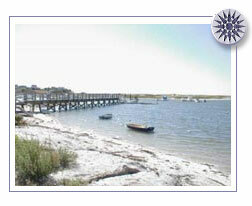 This walking trail begins at the Salt Pond Visitor Center on Rt 6 and runs to Coast Guard Beach 1.6 miles. Intersects with CC Rail Trail. A sandy walking trail leads to Jeremy Point, once an island, but is now connected by sandbars to the mainland. Point covered at high tied. Round trip: 8 miles. Access off Chequessett Neck Rd. Walk across Uncle Tim's Bridge to an island in the middle of Duck Creek. Access from Commercial St.
View white cedar, high bush blueberry and other flora via a boardwalk. Round trip 1.25 miles. Intersects with CC Rail Trail. Marconi Area, off Rt 6. 1,000 acres of ponds, tidal creeks, salt marsh, Bay beach. Run by the Mass Audubon Society. Route 6, Wellfleet. In North Truro, turn right off Route 6 at the Pilgrim Heights area sign. Walk begins at the covered picnic shelter and ends at the restrooms at the adjacent parking area. This 3/4 mile loop travels through pitch-pine woods opening out onto Salt Meadow, an ideal spot to watch migratory waterfowl. It was here at Pilgrim Spring, in 1620 that Pilgrims had their first drink of water in the new world. 1/4 mile from parking area. Adjacent fire roads offer additional miles of walking opportunities. Take Truro Center/Pamet Roads exit off Route 6 in Truro. Proceed 1 1/2 miles on North Pamet Road to the end. Trail begins at the parking area adjacent to the Environmental Education Center (a youth hostel in summer). The Bearberry Hill overlook offers spectacular view of the Pamet landscape, with sweeping views of the Atlantic and the glacial terrain of the Pamet valley, and a former bog house. Length: One mile total loop (pond loop 3/4 mile, extension loop 1/4 mile), one hour. Location: Turn right (north) at traffic light on Route 6 onto Race Point Road. Proceed approximately 1/2 mile to the Beach Forest parking area on left. Features: This trail provides a journey into the heart of a picturesque beech forest and offers great bird watching opportunities. It skirts the shallow Beech Forest Pond. Conditions: Easy; extension loop has sttep log steps; some soft sand; picnic area and seasonal restrooms at trailhead; access to Province Lands bicycle trail and designated pet trail from parking area. A jetty doubles as a wide footpath to secluded Long Point Beach. Wood End Lighthouse is at the end of the jetty and Long Point Light at the end of the beach. Access from west end of Commercial St. and Bradford St Ext.